senior Client Success Manager Sarah Loyd sitting at the Social News Desk booth during the NAB Show. 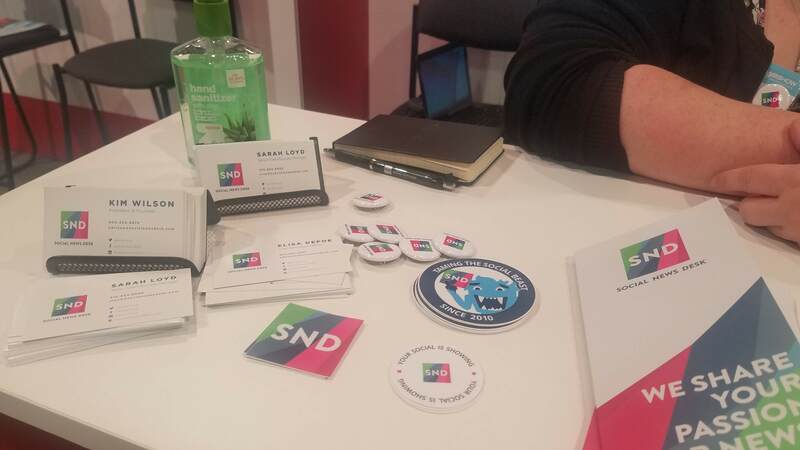 Six months ago, before many attendees had given much thought to the NAB Show, Sarah Loyd and the Social News Desk team began preparing for the four-day convention. Loyd, the senior client success manager, and their team of about 13 employees did their best to plan for every scenario. Coming from a news background like many of her colleagues, Loyd said they were used to handling these types of situations and adapting to issues. “My boss had to run to Best Buy, pick up a monitor, we got it mounted, crisis averted. Sometimes things happen and you just gotta figure out a way to get over it,” Loyd said with a laugh. The stickers and cards the Social News Desk distributed during the show. The Social News Desk is no stranger to conferences. They were at the Online News Association’s conference in Austin last September and they’re preparing to be at the 2019 ONA conference in New Orleans later this year. “We’re planning to bring back our survival kits, I think that’ll be necessary in New Orleans,” Loyd said, pointing to their booth’s giveaway. Their survival kits include chapstick, Advil, bandaids and breath mints, and Loyd said they’ve been popular. They’re also planning to attend Mega Conference and a few smaller ones scattered throughout. 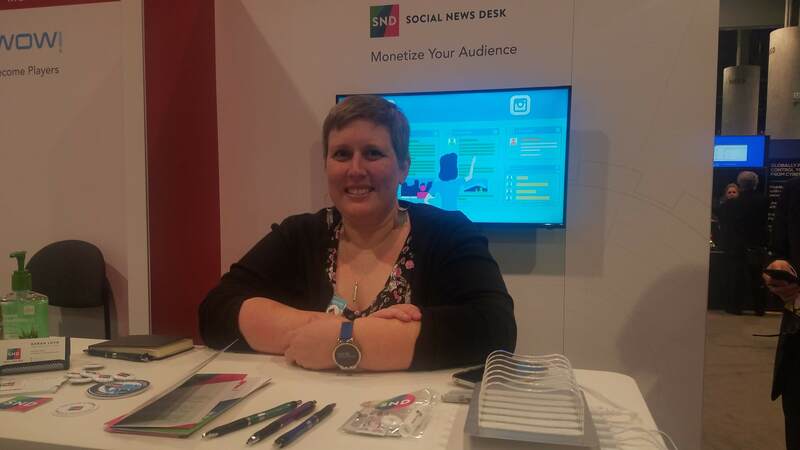 At NAB, the Social News Desk booth sits inside the larger Sprockit pipeline. Sprockit “curates, connects and fosters collaboration” between global media groups, according to their website. 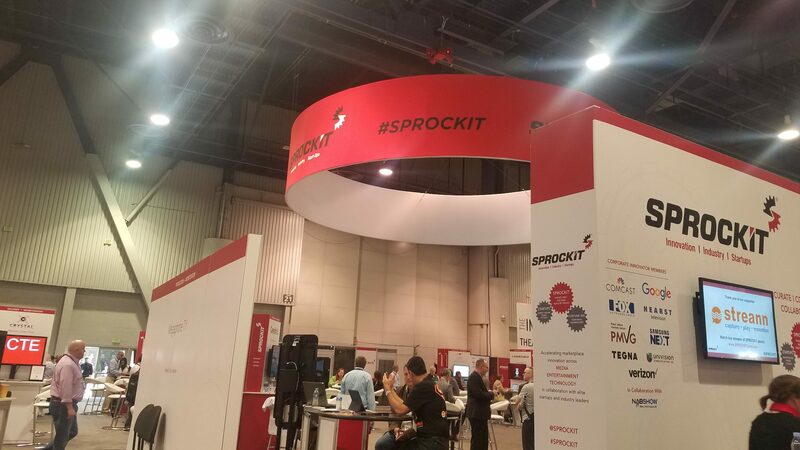 The Sprockit hub is home to several partner booths at this year’s show. The Sprockit hub on the NAB Show floor.